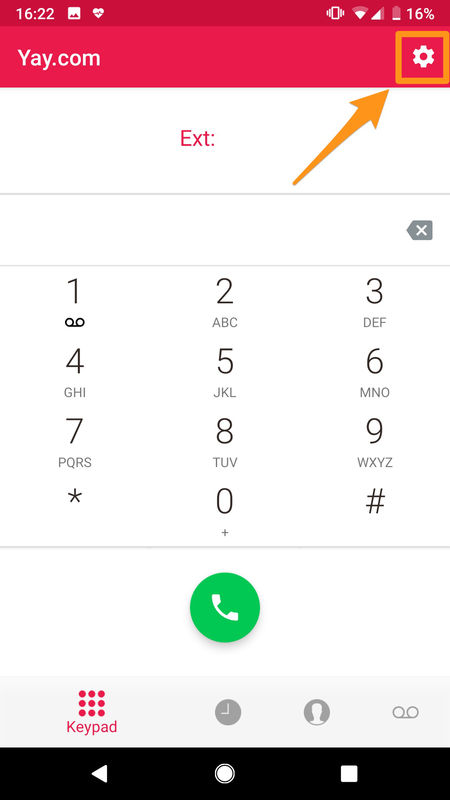 Home > VoIP Support FAQ > Yay.com App > How do I enable Do Not Disturb (DND) on the Yay.com apps? How do I enable Do Not Disturb (DND) on the Yay.com apps? Do Not Disturb (Or DND) is a great feature of our new app! 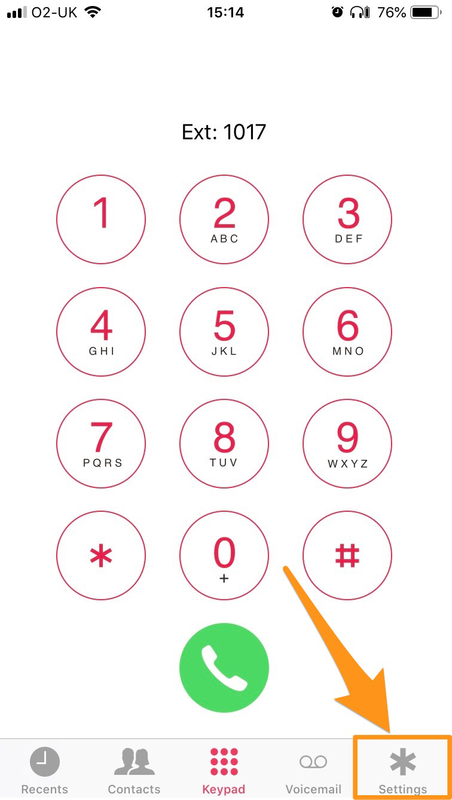 This essentially rejects the call coming through to your app, and will continue to follow your call route as it should. To enable Do Not Disturb is simple on both the Android and iOS versions of our app. You would need to select the settings option, which is the star icon on the bottom right on iOS, or the cog in the top left for Android. 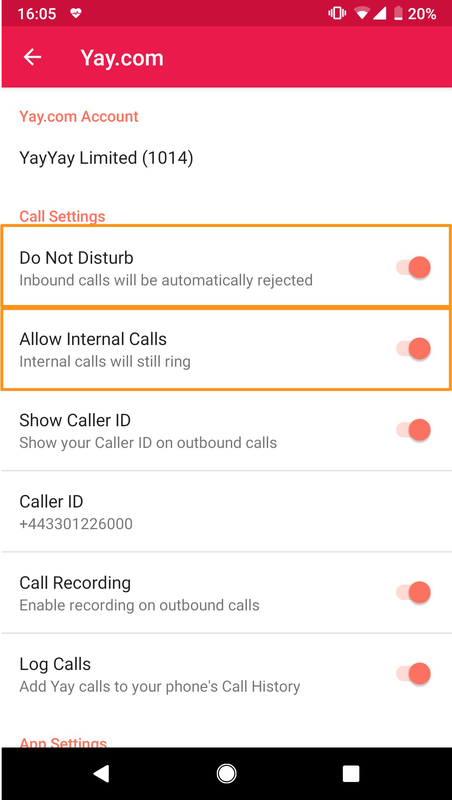 Once in here you’ll see the call settings tab (On Android) and the Inbound call settings (On iOS), where you’ll see the option for Do Not Disturb. 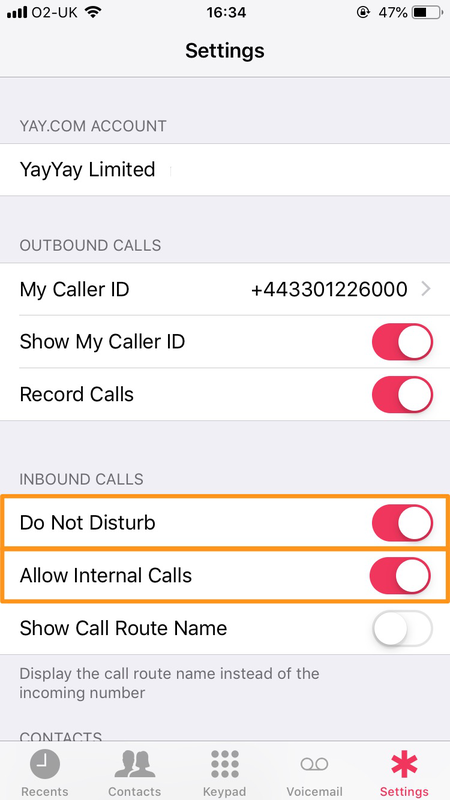 Once this is enabled, you’ll then see a second option appear below for ‘Allow Internal Calls’, this means that even when in Do Not Disturb mode, your colleagues will still be able to call through to you internally.